Emerging research points to genetic risk factors for Internet addiction. One study found that individuals exhibiting problematic Internet usage were also more likely to be carriers of a particular gene mutation that plays a predictive role in nicotine addiction.11 In terms of personality factors, shyness, social anxiety, low self-esteem, lack of a strong sense of self, loneliness, and introversion have been seen as significant predictors of problematic Internet use.12 Additionally, individuals with deficits in social skills are more likely to prefer online social interactions to face-to-face interactions.13 Such individuals may become attached to the Internet because online relationships produce less anxiety than face-to-face relationships; however, as use becomes excessive, individuals may not develop the social skills necessary to form satisfying offline relationships. The Internet provides opportunities for children and young adults to browse, search, and research topics of interest, share images with friends, post and watch videos, network socially, play games, or chat on message boards and forums through online games, game consoles, webcams, or apps. These activities, while entertaining and enjoyable, can also expose children and young adults to a variety of dangers online, many of which result from online behaviors such as friending individuals they don’t know or sharing personal information online. Internet users are easily exposed to inappropriate, explicit content, sexual predators seeking to groom them, identity theft, cyberbullying, cyberstalking, and more. In addition to being detrimental to families and friendships, Internet use can result in damaged reputations, victimization, and even violent acts committed against users. The Websites below provide helpful tips schools can share with parents through e-newsletters, letters sent home, and parent-teacher association meetings. What Risks Do Children Face Online? The NetSmartz411 Website clearly outlines the dangers children face online and what can be done to protect them. All Websites in Box 1 were accessed February 1, 2016. National Society for the Prevention of Cruelty to Children gives several tips on how to talk to children and young adults about online safety as they use social media and devices such as mobiles, Smartphones, tablets, and more. Stay Safe Online Teen and Young Adult Resources provides links to resources designed to help older teens manage online reputation, privacy on mobile apps and in social networks, and avoid sexting, sextortion, and cyberbullying. Microsoft YouthSpark Hub Resources and Research shares a variety of resources to help teachers and parents teach students how to be safe online, protect their identity, and text and share photos safely. Efforts to prevent addiction can be enacted in family, church, and educational spheres. Children and adolescents who lack rewarding or nurturing relationships and who have poor social skills and difficulty making friends are more susceptible to turning to virtual interactions to meet their need for attention and friendship. Those at a higher risk may remain invisible because they tend to be quiet, shy, socially awkward, depressed, and isolated. Finding these marginalized individuals, nurturing them, coaching them, and actively seeing that they are included can be saving. One of the most severely shy clients I (CF) ever worked with told me that his life was “saved” by an outgoing peer in graduate school who took him under his wing and would not take “no” for an answer whenever a social opportunity arose. This shows that building strong bonds with parents, youth ministers, and teachers can provide the most basic form of prevention for addiction. The next step in prevention is increasing awareness of the problem. Administrators and school counselors can raise awareness during in-service staff programs and parent-teacher meetings by distributing information regarding the basics of Internet addiction, warning signs (see Figure 1), and local resources. Because inadequate social skills and lack of a strong sense of self appear to be risk factors for Internet addiction, Young27 suggests that the adoption of a broad prevention approach such as Life Skills Training (which has been successful in prevention of tobacco use among adolescents by enhancing social and personal competence) may also be effective for preventing Internet addiction.28 On university campuses, residence-hall directors can offer educational programs, similar to drug and alcohol prevention programs, that educate students regarding the warning signs and risk factors of Internet addiction. Seminars can also be conducted to educate faculty, counseling staff, and administrators about Internet addiction and how to recognize it in their students. Schools can help educate parents about preventing Internet addiction by sharing tips on proper monitoring of Internet use, including setting boundaries for when and for how long the computer is used, and by frequently encouraging participation in activities that are incompatible with Internet use.29 In church communities, ministers have a particularly important role to play in prevention and can use similar techniques to raise awareness among families and reach out to youth in whom they recognize warning signs. In terms of intervention, support and faith are crucial in the recovery effort. 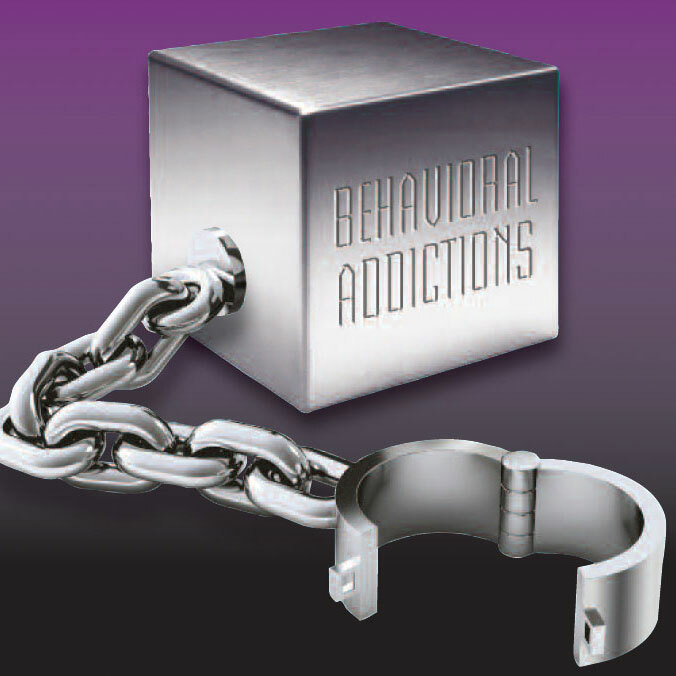 In treating addiction as a spiritual disorder, the 12-step program for chemical addictions emphasizes accepting one’s own powerlessness and the need for God’s divine intervention to lead the individual struggling with addiction away from the path of abuse.30 Step 2 states, “Came to believe that a Power greater than ourselves could restore us to sanity.”31 This is not to say that one can “pray an addiction away,” as wonderful and powerful prayer is. Rather, it speaks to the human need to quench the deepest thirsting that cannot be satisfied by whatever addictive behaviors compulsively and repetitively seek to fulfill. Jesus invited, “‘Let anyone who is thirsty come to me and drink’” (John 7:37, NIV).32 Coming to Jesus means coming to be loved and accepted so that “‘rivers of living water will flow from within’” (John 7:38, NIV). Teachers, clergy, family, and friends can play an important role in helping individuals recognize the extent of damage their excessive Internet use has been causing in their lives and guiding them to the appropriate help. Internet use interferes with normal everyday activities such as getting ready for school, family dinners, and sports practices. Normal bedtimes are ignored, and the adolescent appears exhausted in the morning. Users sneak online or lie about the extent of Internet use. Users can’t focus on homework long enough to finish an assignment without logging on to the computer or tablet for recreational use (e.g., social media, gaming). If parents try to cut down their Internet time, adolescent users become belligerent and abnormally irritated or violent. Users lose interest in things that used to excite them, such as hanging out with friends or playing sports. *Kimberly S. Young, “Parenting in the Digital Age”: http://netaddiction.com/childrenonline. Accessed February 20, 2015. Once an individual is motivated for recovery, behavioral modification can be implemented with the support of loved ones or a professional therapist. This can include setting a timer for usage, matching time spent online with in-person social interactions, and increasing scheduling of non-computer-related activities. If modification attempts are unsuccessful or if the person is suffering from an underlying psychological disorder such as depression, professional counseling may be warranted. Emerging research supports the use of cognitive-behavioral therapies (CBT) as an effective treatment for Internet addiction.33 CBT highlights how underlying distorted thoughts about oneself and the world (e.g., I am weak when I am offline, but online I am somebody.) are linked to problematic and compulsive behavior and teaches skills for changing those thoughts and behaviors. For many, social skills training, building self-esteem, and treating co-morbid psychological disorders will also be a focus of treatment, as these factors likely are contributing to the addiction. For adolescents, a combination of individual and family therapy is recommended34 and can even be implemented in school settings. In family approaches, the psychotherapist meets with individual members of the family and then meets regularly with the entire family to support the target individual (the one presenting with Internet addiction); everyone is made partly responsible for the problem, rather than blaming one family member. In a recent study of Chinese adolescents with Internet addiction, a six-session family therapy that focused on building parent-adolescent communication skills and training parents to address their child’s psychological needs (e.g., autonomy, interaction, achievement) was effective in significantly reducing Internet addiction behaviors.35 Joining 12-step programs (such as Internet and Tech Addiction Anonymous, http://www.netaddictionanon.org/) or support groups can also be tools for recovery. Rather than abstinence, learning to manage and regain control over Internet use, as well as treating underlying problems leading to compulsive use, are principles in effective recovery. While in the process of writing this article, I (CF) was visiting a beautiful valley deep in Argentina’s countryside. Yet, something felt wrong—my cell phone had neither signal nor access to the Internet. Really?! For those in my generation, this experience may only be a minor inconvenience, as I was quickly able to return to the Andes and enjoy God’s creation. However, for those in my generation (MV), this experience may be an inkling of something much more pervasive. Internet addiction is a phenomenon that is quickly but silently invading homes and afflicting youth. It is thus a growing concern for parents and educators. Most people rely on the Internet for daily tasks and enjoy using it for personal benefits, and thus the Internet itself is not the enemy. However, for vulnerable individuals who are lonely, shy, have low self-esteem, inadequate relationships, and who may be struggling with depression or anxiety, the Internet can become a tool for escape and relief. Unknowingly, addiction can develop as the user’s dependency on the Internet to meet social and emotional needs increases. For individuals with an addiction, the Internet becomes the organizing principle of their lives, thus pulling them farther away from the natural order and human experiences God intended. 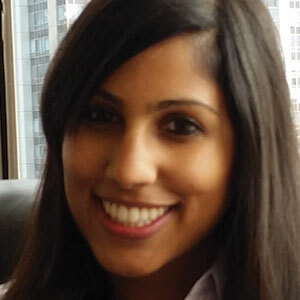 Mary E. Varghese, Ph.D., is a postdoctoral psychology fellow specializing in health psychology at the Northport Veterans Affairs Medical Center in Northport, New York. She completed her pre-doctoral internship at Loma Linda University School of Medicine in Loma Linda, California, and her doctorate in Counseling Psychology at Purdue University in West Lafayette, Indiana. Dr. Varghese’s doctoral dissertation examined attachment in spiritual relationships, and she has previously published research on personality factors and problematic Internet use. 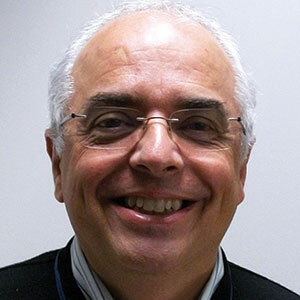 Carlos Fayard, Ph.D., is Associate Professor of Psychiatry at Loma Linda University School of Medicine. He is also Chair of the Psychiatry and Religion Program, Director of the World Health Organization Collaborating Center, and Director of the Clinical Psychology Internship Program. Dr. Fayard is an Associate Director of the Health Ministries Department, General Conference of Seventh-day Adventists, and the Co-editor of A Christian Worldview and Mental Health: A Seventh-day Adventist Perspective, and Vida Abundante: La Psicológia Positiva Desde una Cosmovision Biblica. He serves as a consultant to the Plan of Action for Mental Health 2014-2020 from the Pan American Health Organization and has been recognized with the “Guadalupe” and “Amar es Entregarse” awards by the San Bernardino Diocese of the Catholic Church for his contributions to the community. Daniel L. King et al., “Cognitive‐behavioral Approaches to Outpatient Treatment of Internet Addiction in Children and Adolescents,” Journal of Clinical Psychology 68:11 (November 2012):1185-1195. Kimberly Young, “Internet Addiction: Diagnosis and Treatment Considerations,” Journal of Contemporary Psychotherapy 39:4 (December 2009):241-246. Chih‐Hung Ko et al., “Brain Correlates of Craving for Online Gaming Under Cue Exposure in Subjects With Internet Gaming Addiction and in Remitted Subjects,” Addiction Biology 18:3 (May 2013):559-569. Mark Griffiths, “Internet Addiction—Time to Be Taken Seriously?” Addiction Research and Theory 8:5 (2000):413-418. Timothy C. Liu et al., “Problematic Internet Use and Health in Adolescents: Data From a High School Survey in Connecticut,” The Journal of Clinical Psychiatry 72:6 (June 2011):836. Soo Kyung Park, Jae Yop Kim, and Choon Bum Cho, “Prevalence of Internet Addiction and Correlations With Family Factors Among South Korean Adolescents,” Adolescence 43:172 (2007):895-909. Katie Niemz, Mark Griffiths, and Phil Banyard, “Prevalence of Pathological Internet Use Among University Students and Correlations with Self-esteem, the General Health Questionnaire (GHQ), and Disinhibition,” CyberPsychology & Behavior 8:6 (December 2005):562-570. Mark Griffiths, “Internet Addiction: Does It Really Exist?” Psychology and the Internet: Intrapersonal, Interpersonal, and Transpersonal Implications (1998):61-75. Scott E. Caplan, “Preference for Online Social Interaction: A Theory of Problematic Internet Use and Psychosocial Well-being,” Communication Research 30:6 (December 2003):625-648. Christian Montag et al., “The Role of the CHRNA4 Gene in Internet Addiction: A Case-control Study,” Journal of Addiction Medicine 6:3 (September 2012):191-195. Scott Caplan, Dmitri Williams, and Nick Yee, “Problematic Internet Use and Psychosocial Well-being Among MMO Players,” Computers in Human Behavior 25:6 (November 2009):1312-1319. Scott E. Caplan, “A Social Skill Account of Problematic Internet Use,” Journal of Communication 55:4 (December 2005):721-736. Jerald J. Block, “Issues for DSM-V: Internet Addiction,” American Journal of Psychiatry 165:3 (March 2008):306, 307. Ho-Kyung Kim and Keith E. Davis, “Toward a Comprehensive Theory of Problematic Internet Use: Evaluating the Role of Self-esteem, Anxiety, Flow, and the Self-rated Importance of Internet Activities,” Computers in Human Behavior 25:2 (March 2009):490-500. Chih-Hung Ko et al., “Psychiatric Comorbidity of Internet Addiction in College Students: An Interview Study,” CNS Spectrums 13:2 (February 2008):147-153. Nathan A. Shapira et al., “Psychiatric Features of Individuals With Problematic Internet Use,” Journal of Affective Disorders 57:1 (January-March 2000):267-272. Chih-Hung Ko et al., “Predictive Values of Psychiatric Symptoms for Internet Addiction in Adolescents: A Two-year Prospective Study,” Archives of Pediatrics and Adolescent Medicine 163:10 (October 2009):937-943. Ömer Şenormanci et al., “Attachment and Family Functioning in Patients With Internet Addiction,” General Hospital Psychiatry 36:2 (March-April 2014):129-132. Min-Hyeon Park et al., “Preliminary Study of Internet Addiction and Cognitive Function in Adolescents Based on IQ Tests,” Psychiatry Research 190:2-3 (December 2011):275-281. Niemz et al., “Prevalence of Pathological Internet Use Among University Students and Correlations with Self-esteem, the General Health Questionnaire (GHQ), and Disinhibition,” op. cit. Griffiths, “Internet Addiction: Does It Really Exist?” op. cit. Richard A. Davis, “A Cognitive-behavioral Model of Pathological Internet Use,” Computers in Human Behavior 17:2 (March 2001):187-195. Caplan, “A Social Skill Account of Problematic Internet Use,” op. cit. Şenormanci et al., “Attachment and Family Functioning in Patients With Internet Addiction,” op. cit. Young, “Internet Addiction: Diagnosis and Treatment Considerations,” op. cit. Terrell W. Zollinger et al., “Impact of the Life Skills Training Curriculum on Middle School Students’ Tobacco Use in Marion County, Indiana, 1997-2000,” Journal of School Health 73:9 (December 2003):338-346. Chien-Hsin Lin, Shong-Lin Lin, and Chin-Pi Wu, “The Effects of Parental Monitoring and Leisure Boredom on Adolescents’ Internet Addiction,” Adolescence 44:176 (December 2009):993-1004. “The Twelve Steps”: http://www.12step.org/the-12-steps/. Accessed Feb- ruary 1, 2016. Kimberly S. Young, “Cognitive Behavior Therapy With Internet Addicts: Treatment Outcomes and Implications,” CyberPsychology & Behavior 10:5 (October 2007):671-679. Davis, “A Cognitive-Behavioral Model of Pathological Internet Use,” op. cit. Qin-Xue Liu et al., “Multi-family Group Therapy for Adolescent Internet Addiction: Exploring the Underlying Mechanisms,” Addictive Behaviors 42 (March 2015):1-8. Chennan Liu, Minli Liao, and Douglas C. Smith, “An Empirical Review of Internet Addiction Outcome Studies in China,” Research on Social Work Practice 22:3 (May 2012):282-292.